Does my Automotive SEO campaign reek of spam? If you are not careful, your automotive SEO campaign might start to smell of spam. Assuming you grew up in America, you probably know what Spam is. The unlucky among us may have had it in sandwiches and stir fries and all sorts of meals when we were young. Since the creation of the food, the term “spam” has grown to mean anything fake or irrelevant, especially if served up over the internet. 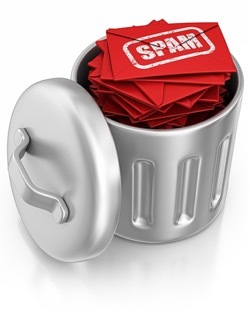 You’re familiar with spam email, but are there actually other types of spam? You might start to show up in search results where you are not wanted and, more importantly, are not relevant. You might start to see your click through rates go down. Even if your entire campaign is not spam, there probably are parts of it that are starting to at least a little bit like the processed ham most of us avoid like the plague. One of the most common places you start to feel like a can of spam is when emailing blog owners about prospective guest posts. Guest posting is a great way to get your brand’s name into the public eye and prove that you have the knowledge and the expertise to help them with their needs. But if your emails are getting labeled as spam or, more important, actually look and seem like spam even if the intendent recipient does seem them, your guest blogging tactic is going to fail before it even gets started. 1. Do not send automatically generated emails to these bloggers. Most bloggers, especially busy bloggers (who are the ones you want to work with) get lots of emails a week, many of which are going to be from people that want to use a little bit of the blog’s clout to get some more eyes on their website. A guest blog post is a great opportunity for you to get your message in front of people that might actually be interested in it, but you are relying on the kindness of a stranger in order to get those eyes. The last thing you want to do is send that person an email that you are also sending to twenty other bloggers at the same time. It’s easy to use a canned response. All you have to do is copy and paste it into another email, but it sounds canned. You are reaching out to a specific person, so you outreach should actually sound like you are addressing just one person. 2. It needs to catch their eye. Again, most of these people are going to be sifting through dozens, if not hundreds of emails every week. A lot of those emails are going to be from people who want to post as a guest on the blog. And while a guest post does often give a blogger a week off, most bloggers are very defensive when it comes to their audience. They understand that if they put something boring or irrelevant in front of their readers, they are sacrificing their reputation and readership. This means that you need to write an email that catches their eye. If it catches their eye, they are more likely to think that it will catch their readers’ eye, too. A good tagline includes the phrase “guest post” and the title that you are pitching for that guest post. Your email address should also show up as the name of your dealership or your full name. Most bloggers understand the importance of guest blogging and they are more than willing to post something to their blog if they think it is going to be valuable to their own readers. The issue is, however, that many bloggers get plenty of solicitations. Why should they choose you over another dealership? Even something small that you can offer in return for the guest post is a good way to sway the blogger in your favor. For example, if you have referenced that blogger’s blog in one of your own blog posts or on your website somewhere, you have already done something nice for that blogger. You have shown them that you value the content that they produce and that you thought their blog was valuable enough to refer your visitors and readers to it. A little bit of kindness in this realm can go a long way when you are trying to get someone to pay attention to you. 4. Make it as easy for them as possible. Guest posting is an integral part of most automotive SEO campaigns, but few people really understand how to reach out to bloggers correctly. You should already have the blog post you want posted on their blog written when you contact them. Even before you write it, you should have already researched their blog and gotten a good understanding what type of content they post and who their readers are. Once you have written the post with these things in mind, you will have a much higher chance of your submission being accepted and posted. Your goal should be to make it as easy as possible for the blogger to choose you. If you’ve done essentially all of the work for them, why wouldn’t they want to post your content and include a link back to your website?